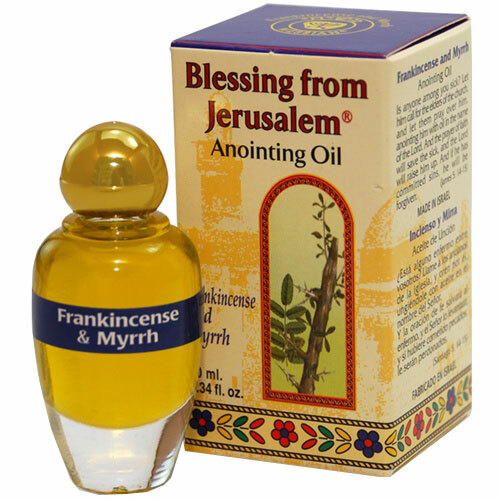 Frankincense and Myrrh Anointing Oil from the City of God. Blessing from Jerusalem Anointing Oil. Size 10ml / 0.33 fl.oz. Our 'Blessing from Jerusalem' anointing oils are all based on Galilee Virgin Olive Oil. Shipped to you (usually the next day) direct from here in the Holy Land.